Many gardeners I know dream of acquiring or building a greenhouse. Whether it’s to prolong the relatively short upstate New York growing season for vegetable gardening or to start perennials and herbs, wanting a greenhouse seems to go hand in hand with a love for gardening. Sourcing greenhouses can be tricky. Building them well is an art, and finding an affordable one that’s well built is not always a cakewalk. So I was delighted to learn that a local artisan in the Saratoga Springs and Glens Falls, NY region decided to begin creating handmade greenhouses for sale this year. His greenhouses can be customized, with different options in size and shape, and other custom features like zippered openings for air circulation. 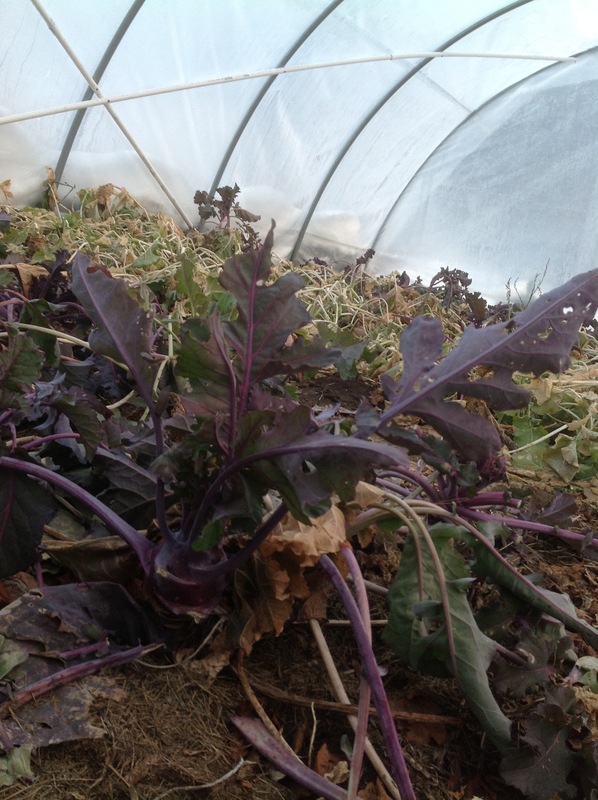 Harvesting fresh greens in Saratoga Springs or Glens Falls in January could put a smile on anyone’s face. This particular greenhouse has enough insulation that these Kohlrabi, Rutabaga and Kale plants do okay, even in upstate NY’s mid-winter. 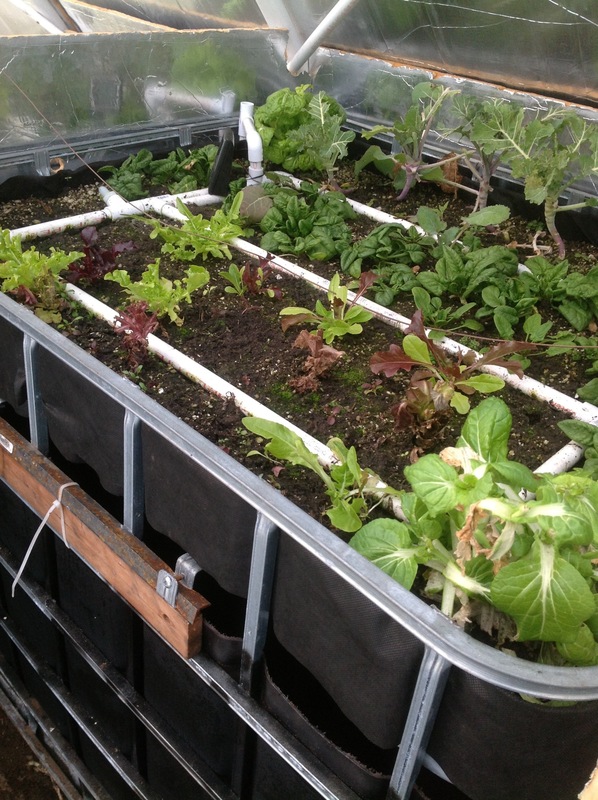 The Saratoga Springs area greenhouse builder has also developed an aquaponics-like system that’s customized to be more sustainable and solar-powered, called, “quadroponics.” These organic, edible greens are grown with water funneled daily through the fish tank below, and the whole system exists in one of the locally handmade greenhouses. 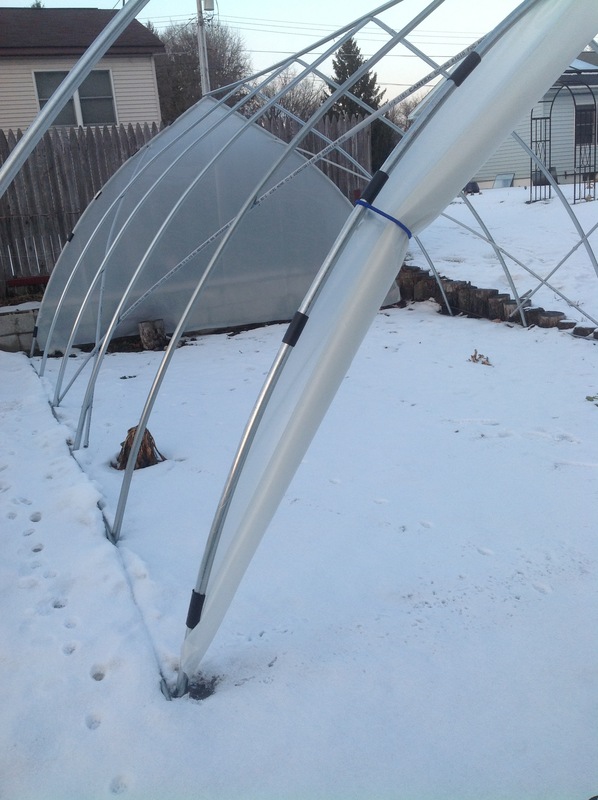 This greenhouse can get up to 100 degrees on a warm winter day, but probably averages between 60 to 70 degrees. 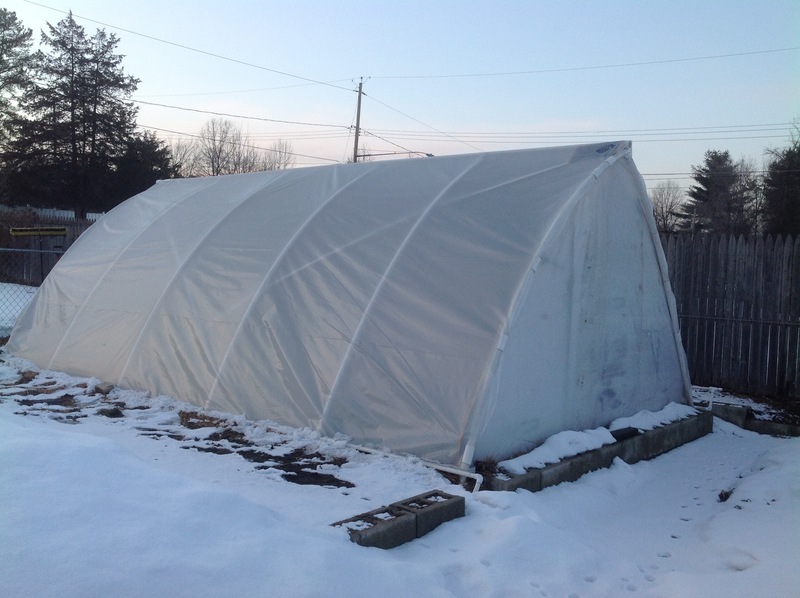 Further inquiries about the greenhouses can be fielded through the Jessecology contact form.